Knit socks, hats or teddies for children in challenging situations, do some yoga, breath deeper and make things, whatever craft or DIY projects that make you feel happy, proud, empowered and joyful. I hope, dear reader that you will find this blog inspiring and that it will make you want to make your own, grow your own, talk to your neighbours, go outside and just see what happens. Making time for good company, for nature, for creativity, for connecting with your soul, spend some time being quiet and present…. We are human beings, not human doings. So I hope that you are happy to slow down, sit down, observe nature, go bird watching… And try to do nothing. It’s actually harder than you think! I’m writing to you, reader and also to myself, to remind myself. and feel free to share with me the things that you love doing to slow down in the comments! 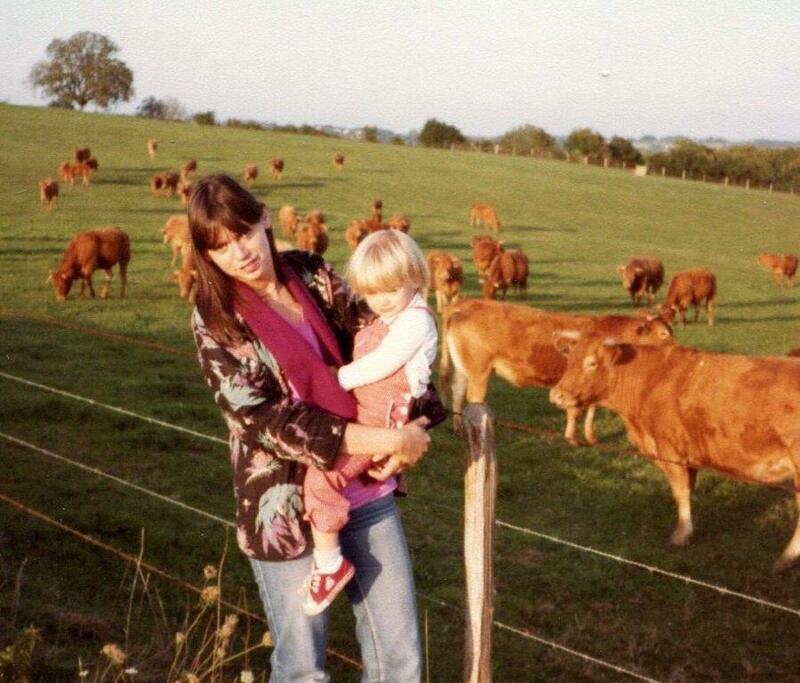 My mum and myself in excellent company – June 1981, in Dordogne, France. Just reading this makes me want to slow down and enjoy the day. Love this post!